Listen to an exclusive call with the World Affairs Councils of America's leadership network and Former Mexican President Vicente Fox that took place on February 7, 2017. He discussed the current and future of U.S.-Mexico Relations with Jim Falk, President and CEO of the World Affairs Council of Dallas/Fort Worth. 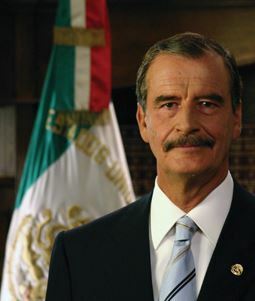 Beyond personality conflicts with President Donald Trump, Vicente Fox, Mexico's president 2000-2006, sees serious political and trade issues affecting the relationship between Mexico and the United States, i.e., the wall, NAFTA changes and "migration." In this Council Conference Call Series on U.S.-Mexico Relations, President Fox also answers insightful questions from callers who touch on not just U.S.-Mexico issues, but the global result of trade disruption in North America.